Maintaining a healthy diet is not easy for me; most of the times I go for the easy option (chocolate, crisps etc.) than fruit or vegetables. Long working hours in the office and travelling have left me thinking that I have to make an effort for a balanced and healthy lifestyle-especially since I will soon say goodbye to the twenties. I got a gym membership-after a massive failure to complete the Kayla Itsines workouts-and promised myself that I will do my best. 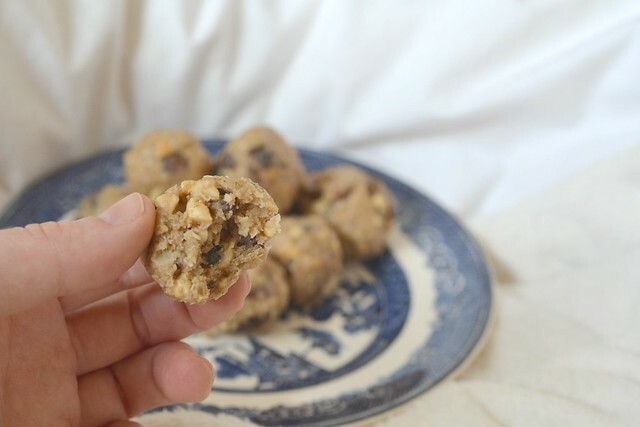 Committing to eat healthier and only what is naturally produced (bye bye cookies), I did an extensive internet search on alternative recipes to satisfy my sweet tooth. A couple of months ago I tried a gluten free diet as part of a study and I was provided with many Nakd bars, all of them so yummy but very pricey. I tried to recreate many flavours but I never managed to make them close to the original taste. 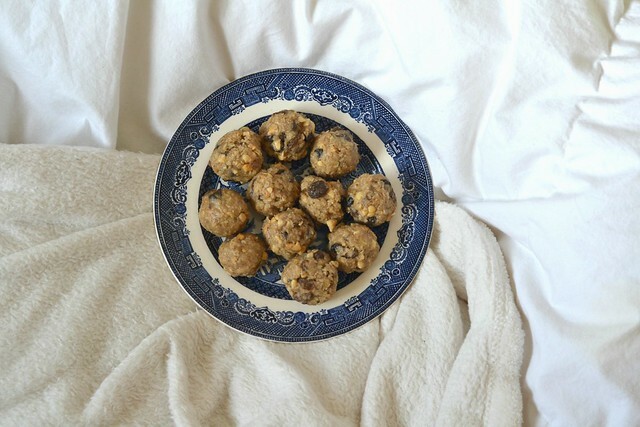 Pinterest is my friend though and today I am proudly presenting you my own version of protein energy snacks; the no-bake raw oats, raisins and peanut butter balls, that have a flavour very close to my favourite energy bars. 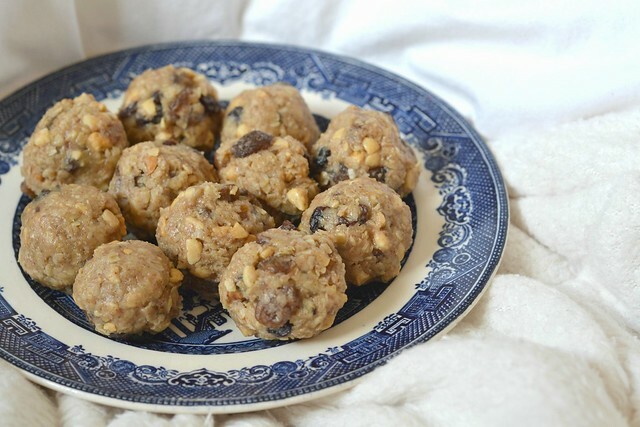 Having these three ingredients as main and a bit of honey and rum essence to make up for the flavour and there you have 25 balls to treat yourself and favourites. 100% with natural ingredients, super yummy and healthy that make the perfect snack! 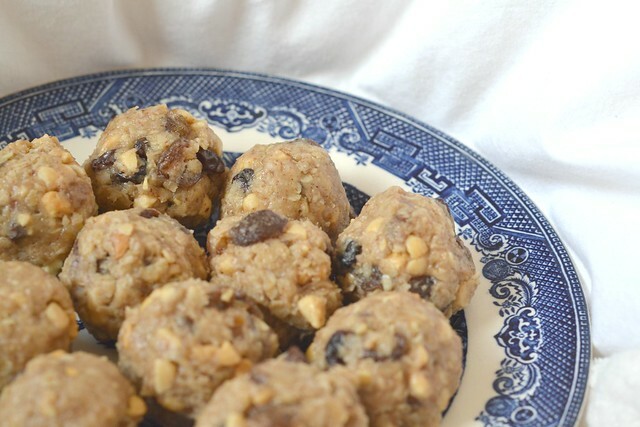 In a big bowl mix the oats and raisins and then add the peanut butter, the rum essence and the honey and mix all together with a wooden spoon. Roll small balls, place them in a tray and let cool in the fridge. Enjoy!